"Think Foursquare with dumpsters, where the average person can go online, mark a dumpster and leave tips," said Kubacki in a recent phone interview. "This is about cooperation. There's more food out there than I can possibly use." So far, there's only a handful of dumpsters listed, but Kubacki hopes people will help contribute to the site and, over time, it will grow into something bigger and more community-based. "People know what [dumpster diving] is. They think it’s intriguing. What I’m talking about is a food collective on a grander scale. It’s about regular people finding a good dumpster and sharing it with the brothers and sisters of this society." Kubacki began dumpster diving a few months ago and became increasingly frustrated with the lack of communication between fellow divers. "The only way I could find out about good dumpsters was through word of mouth. I used to have to meet people at the Trader Joe's parking lot at two in the morning. So, it was clear we needed a better, more efficient way to disperse this information." And by featuring the best spots to score free food, his site doubles as a database for highlighting the city's most wasteful businesses. "Perhaps this will inspire those places to donate their food and take more of an initiative to taper their wasteful practices," he says. "I’d rather have that food be used. If it’s an embarrassment to a business, I really don’t care." 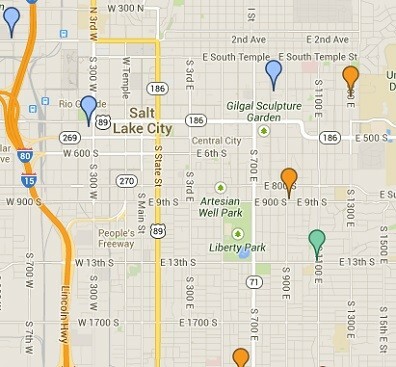 Though dumpster diving isn't technically illegal in Utah, except in Layton and Orem (which both passed ordinances in 2005), the laws surrounding the practice are still murky, especially since divers are often dealing with issues of private property. But, he says, "I think nothing immoral is taking place here. We are merely providing tips that others may follow or regard at their own discretion. I don’t think dumpster diving is illegal in any respect." 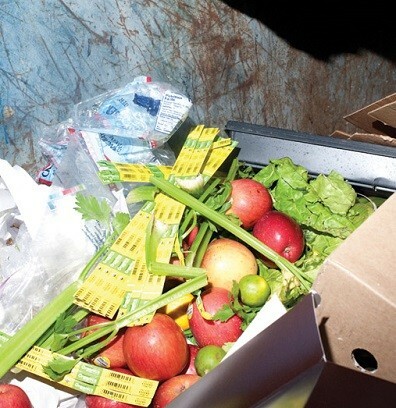 For more info on Salt Lake City dumpster diving, check out our June 20 cover story, "Wasteland."